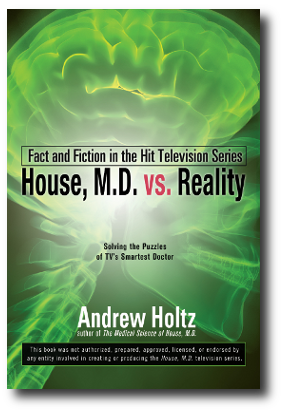 Welcome to the web site of leading independent health journalist Andrew Holtz. 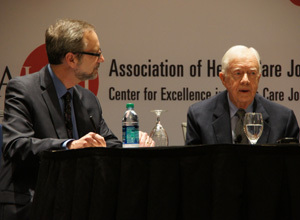 From Alaska to southern Africa, China to the Galapagos, as CNN Medical Correspondent, President of the Association of Health Care Journalists (AHCJ), author, commentator, journalism instructor and advisor, Holtz has observed, analyzed and reported on medicine and the broader issues of health. about how to reduce gun violence? Click here to travel back in time. Learn about the roots of our present ignorance. President and Mrs. Carter tell Andrew Holtz about their successes against Guinea Worm and other diseases in Africa... and their frustration with slow action to provide coverage for mental health care in the U.S.
YouTube video over 200,000 views. "A Ciência Médica de House"
We need to have a Healthy Talk. Support informative, insightful discussion of your health care issues. 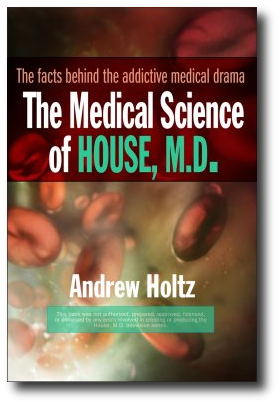 Read the transcript of Andrew Holtz's online chat with the House_MD Yahoo Group. 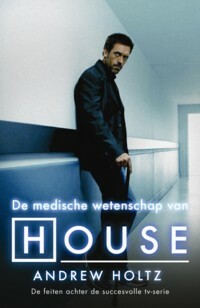 There is also a Q&A on the HouseMD-Guide web site. I started reporting for CNN in 1980 when the network was only 6 weeks old. I stayed for 17 years, including a decade as Medical Correspondent. Click for more info on some of my CNN stories and programs. Information that is accurate and presented in the proper context is the first necessary ingredient of knowledge. As a Board Member and former President of the Association of Health Care Journalists. I am working to help colleagues do a better job covering our beat, so that individuals and nations can develop their knowledge of health and health care. In addition to supporting better coverage of health and medicine through AHCJ, I am a reviewer at HealthNewsReview.org Working under the leadership of publisher and Univ. of Minnesota journalism professor Gary Schwitzer, we use 10 criteria to grade stories about medical tests and treatments. My focus on tobacco issues developed during my tenure as a 1998-99 fellow in the Kaiser Media Fellowships in Health program. I embarked on graduate studies in public health while developing a critical analysis of anti-tobacco education campaigns. You can read and hear some of my tobacco-related work, including a discussion of tobacco control on NPR's Talk of the Nation. I was a regular contributor to the weekly series "HealthWeek." 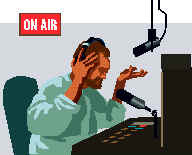 (It ran from 1997 to 2002 on 90% of the PBS stations in the US.) For instance, a report on body piercing. Go to an index of other HealthWeek scripts. Taking the Pulse This series aired in June 2001. Taking the Pulse delves into important health topics that most programs leave untouched. It's not an advice program helping publicize the latest drugs or surgeries. Taking the Pulse explores the fundamental issues that help determine why we are healthy... or not. What are the political and economic forces that determine who gets health insurance, and what kind of insurance they get? What can be done about the social stigma and myths that contribute to the staggering toll of suicide on our youth? Unless you're fluent in Japanese, you'll have to listen hard to hear my narration of this series on alternative approaches to preventing and treating cancer. In any case, the series produced by Kyodo TV aired only on the Fuji TV network in Japan. It was interesting traveling the US with a Japanese crew. Even though the director spoke some English (though certainly better than my Japanese,) we were able to communicate in the universal language of TV shoots. I have written and produced episodes of "Medical Detectives" for The Learning Channel. The series portrays mysteries (both criminal and epidemiological) that are solved by scientific investigations by real-life "Quincys." "With Every Breath" and "Deadly Formula" repeat occasionally. Check the "Medical Detectives" schedule. If cars were sold like health care coverage! Oncology Times has given me the opportunity to write a regular column about medicine in the media... and to dig deep into some complex medical issues of the day. For example, why does the nation invest relatively little in research on the number one cancer killer: lung cancer? And while some ads may imply whole-body CT scanning can find treatable cancers early, there is little science to suggest that healthy people benefit... and they may end up being harmed by unnecessary radiation exposure and invasive medical follow-up. In "The Medical Science of House, M.D." I explained some basics of medicine and health care to television viewers. 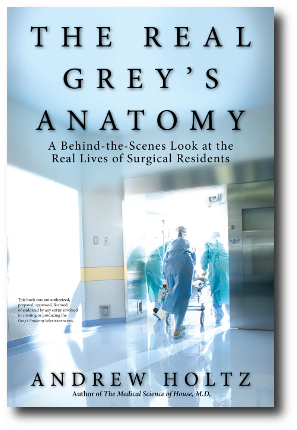 In my ScriptDoctor columns I try to explain television to physicians, nurses and other health care professionals. The column debuted in the Dec. 10, 2006 issue. Link to article index here. Why does the nation's research investment in lung cancer lag behind that of other cancers? 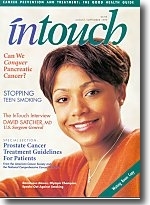 I was the Tobacco Issues Editor of "InTouch" Magazine during its run. My regular column, "InFlamed," delved into the deeper issues of tobacco... the leading cause of preventable death. George Harrison: Where was the anger over tobacco cutting off his music? Tobacco: There is so much to learn and so many lives at stake. Tobacco Taxes: Good for smokers? "Safer" cigarettes: Are they really? A Chat with Lance Armstrong about surviving cancer. Can We Stop Teen Smoking? Some of these items can be found on my Tobacco page. 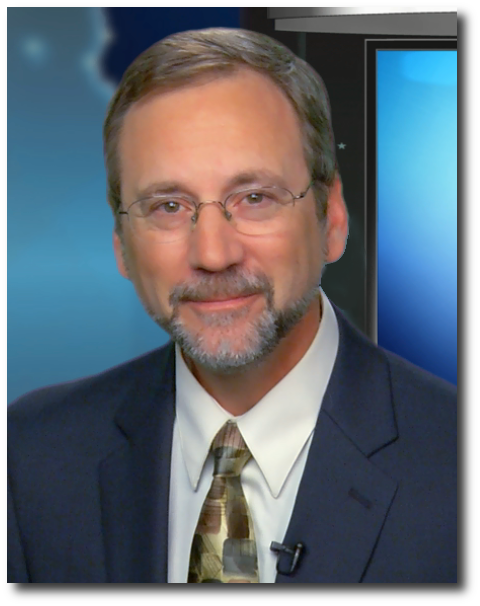 I am available for speaking engagements on a variety of topics involving health and media coverage. Click for a selection of suggested topics.